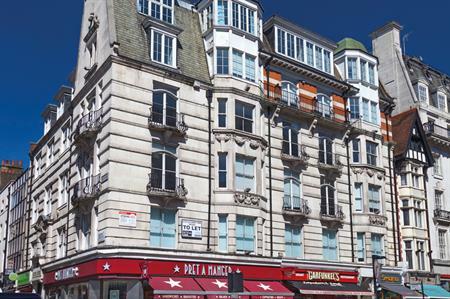 Nadler Hotels is to convert Walter House in Covent Garden, London into a 56-bedroom hotel. Following the freehold acquisition of the property from Legal & General Property, the hotel chain has applied for planning permission to turn the building into a hotel. At present Walter House comprises 20,000 sq ft of vacant office space over five upper floors. When complete, this will be the fourth Nadler property in London and fifth overall, joining The Nadler Kensington, The Nadler Soho, The Nadler Victoria and The Nadler Liverpool. The property chain focuses its resources on the rooms, while offering guests information and access to the area’s attractions, restaurants and retailers. Robert Nadler, CEO of Nadler Hotels, said: "Covent Garden is the perfect location for the latest Nadler hotel. Our objective has always been to deliver four-star rooms with five-star service based around an ethos of sustainability, and this new hotel will be no different, complementing both the area and our existing locations." Meeting spaces will be added to the plan once permissions have been granted. The latest acquisition follows the recent opening of The Nadler Victoria, a 73-bedroom hotel at 10 Palace Place opposite Buckingham Palace, which opened on at the end of 2015.